Hsueh Wan-tung was born in 1911 in Tainan, Taiwan. 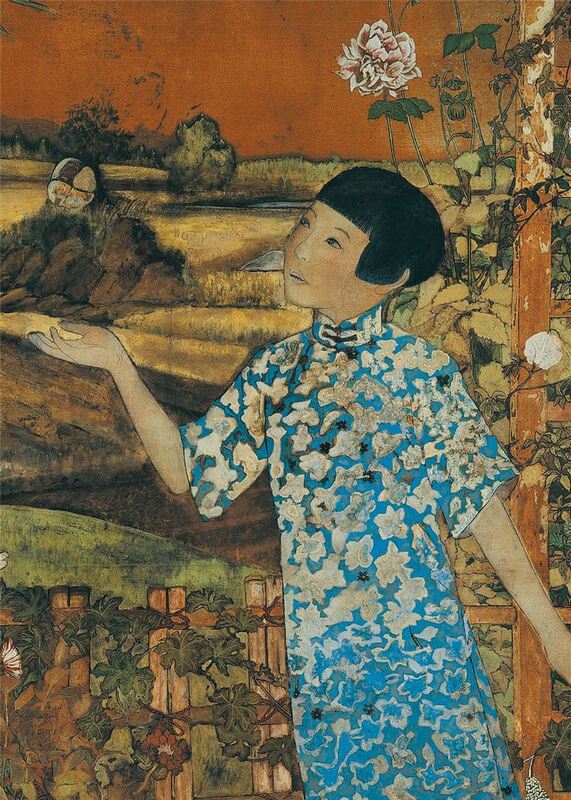 In 1929, Hsueh began learning Eastern gouache painting under Tsai Ma-ta. Hsueh's works were selected for the 6th and 8th Taiwan Arts Exhibitions. In 1938, Hsueh won the Taiwan Governor General's Award at the 1st Taiwan Governor General Arts Exhibition with Eastern gouache painting Games, and rose to fame in the arts world. Hsueh was profoundly influenced by his former tutor Tsai Ma-ta in terms of both art style and choice of themes. His award-winning pieces at Taiwan Arts Exhibition, Taiwan Governor General Arts Exhibition and Taiwan Provincial Arts Exhibition often feature rural scenery and human figures. 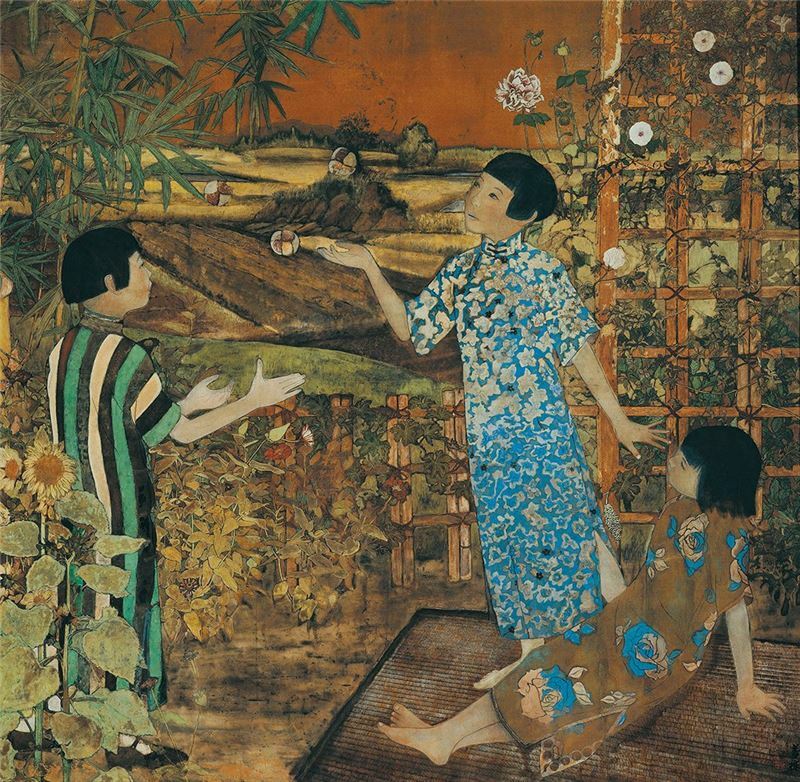 Games (1938) can be seen as the most prominent example of Hsueh Wan-tung's artistic style and approach. The somewhat clumsy-looking brushstrokes, which were the likely consequence of the author's lack of classical training in drawing, are unexpectedly charming as they correspond very well to the rustic rural theme of the piece itself. This painting, Games (1938), is characterized by a finely balanced composition, with all the horizontal, vertical and diagonal lines nicely placed to create a great sense of visual stability. The stablizing and well-balanced composition, however, directs our attention to the sandbag-tossing young girls who seem likely to tumble to the floor. The constrast creates a visual tension in the painting. The print designs on the girls's clothing form an interesting parallel with the flowers and the field ridges in the background, giving this painting a measure of cheery pastoral charm. 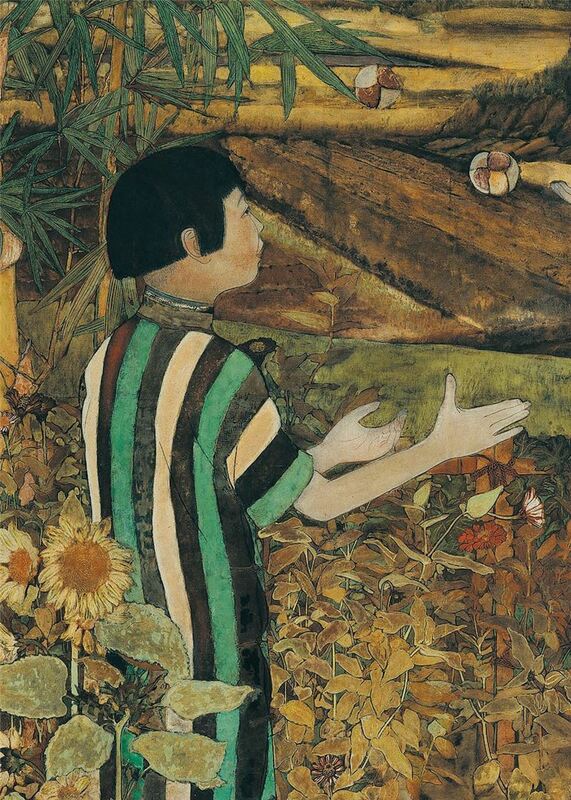 When the Taiwan Arts Exhibition was held in 1927 for the first time, the initial rationale for organizing this event was to encourage the production of artworks with themes centering on native Taiwanese people, culture and scenery and it was well reflected in the overall presentation of the event, as the works selected for this exhibition often featured Taiwanese indigenous plants, rural scenery and landscapes. This trend lasted well until the 1st Taiwan Governor General Exhibition in 1938, which was seeking innovation while preserving the same underlying themes. 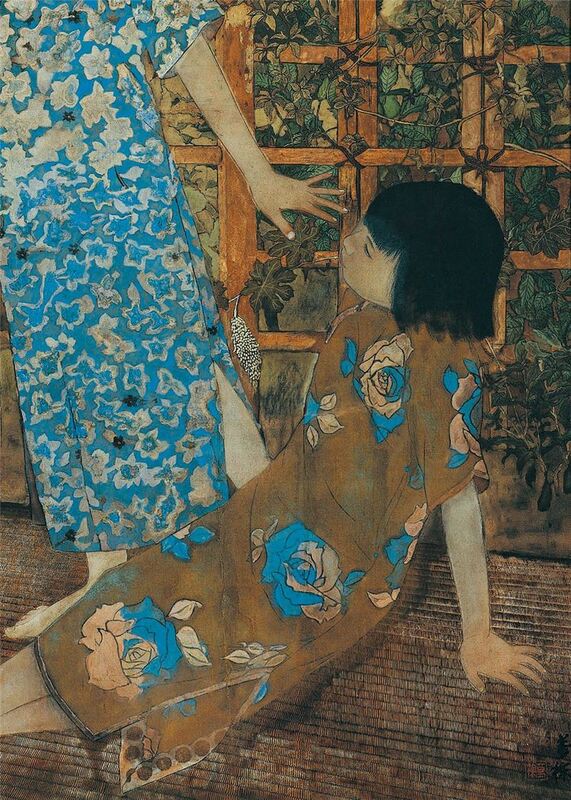 Hsueh Wan-tung's Eastern gouache painting, Games (1938), is one of the most prominent examples of such works that the Taiwan Arts Exhibition and the Taiwan Governor General Arts Exhibition tried to promote, as it features three young girls playing sandbags in a rural yard of Taiwan decorated with typically Taiwanese flowers and plants such as morning glories, bamboos and sunflowers.